Matriculation Plus Course Completed Act Apprenticeship / ITI approved by SCVT / NCVT in the trades of Fitter / Electrician / Instrument Mechanic / Millwright Maintenance Mechanic / Mechanic Radio & TV / Electronics Mechanic / Mechanic Motor Vehicle / Wireman / Tractor Mechanic / Armature & coil winder / Mechanic Diesel / Heat Engine / Turner / Machinist / Refrigeration & AC Mechanic / or Diploma in Mechanical /Electrical / Electronics/Automobile Engineering recognized by AICTE In Ileu of ITI. Candidates having the higher educational qualification (B.Tech/B.E) in Mechanical / Electrical / Electronics / Automobile Engineering recognized by AICTE are also eligible. Previously known as Assistant Driver as he assists the driver of the running train. ALP assists Loco Pilot in Driving or piloting the train. The job of ALP & LP both requires continuous attention and a high degree of responsiveness. Your response to situations is tested by an Aptitude test which is conducted after written test of ALP. You will assist Driver in performing his duties including calling out signal as soon as one is sighted, fine-tuning Loco, attending minor repairs of the Loco. 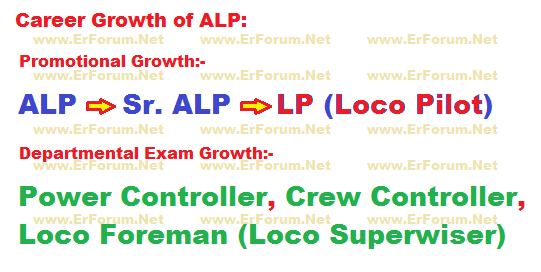 Assistant Loco Pilot's next promotion is Sr. ALP followed by Loco Pilot. 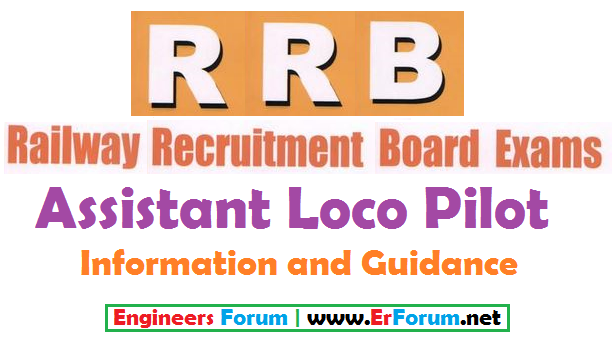 After becoming Loco Pilot one can also write exams for Power Controller, Crew Controller, Loco Foreman (Loco supervisor).These posts have the added advantage of getting Running Allowance without actually running. Written Examination followed by Aptitude Test and Document Verification. Candidates who qualify written test are called for Aptitude Test / Psycho Test. How to Clear Aptitude test? Any Further query related to ALP? Do comment! Can you provide me the study materials of written Test of ALP and Technician??? A Lot of thanks for your support.